At McKenzie River Dental, we provide amalgam and tooth-colored composite dental fillings. 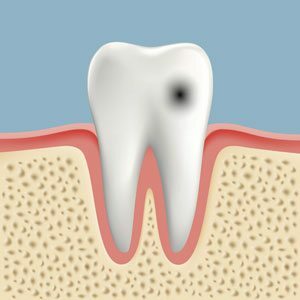 To treat a cavity, Springfield Oregon dentist Dr. Schilt will remove the decayed portion of the tooth and then “fill” the area on the tooth where the decayed material once lived. 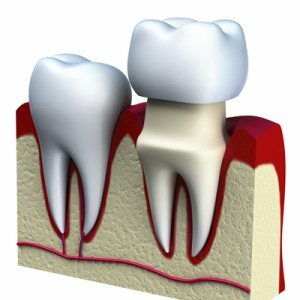 Fillings are also used to repair cracked or broken teeth and teeth that have been worn down from misuse (such as from nail-biting or tooth grinding). If you have received fillings over the years, we will closely monitor them for any signs of failure and offer replacement options when necessary. Crowns are used to strengthen and improve the shape, size or color of teeth. They can support broken, cracked, previously root canalled teeth or weak teeth or those with large fillings. Crowns provide a smooth, strong, attractively contoured surface for stained, misshapen or otherwise abnormal teeth. These are made of porcelain or porcelain shells fused to a metal base for strength. Dr. Schilt can provide an individualized dental bridge to replace missing teeth. Teeth adjacent to the area of missing teeth are crowned and used as anchors to support the restorations. 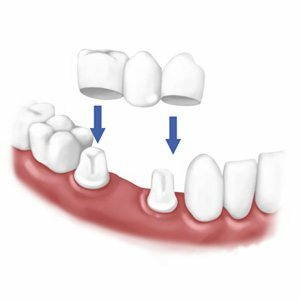 Dental bridges can be made using porcelain, gold, or a combination of these materials, and fitting a dental bridge usually takes two appointments to complete. Dr. Schilt at McKenzie River Dental will first prepare the effected teeth, precisely constructing the bridge to guarantee correct bite and to match the opposing teeth.